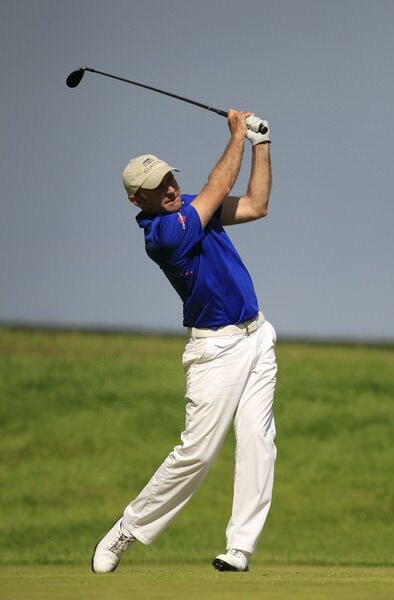 Colm Moriarty (Glasson Hotel & CC) made the most of excellent scoring conditions to grab the first round lead at the Shell Pro-Am at Carne Golf Links. The 35-year-old carded a five under 66 to lead Brian McEhinney (Foyle GC) by two shots at the Co Mayo venue. “It's a wonderful piece of land. I haven't played here for at least 15 years and it's stunning,” said Moriarty. The former Challenge Tour regular went to the turn in one under 35, recording a birdie at the par five fourth. He rattled off a brace of birdies at the 11th and 12th and then polished off his round with birdies at 17 and 18. Michael Collins (Mallow Golf Range), Wayne O'Callaghan (Fernhill Golf & CC) and David Ruddy (Cahir Park) are tied for third on two under. Greenore's Robert Giles and Drive Golf Performance's Colm Moriarty carded identical rounds of 67 and 63 to share first place on six under at the Dunfanaghy Pro-Am.